The Library Service will soon be holding a sale of books that have been withdrawn from library stock. These are books that are duplicates of items in our collection or donations that are not required. 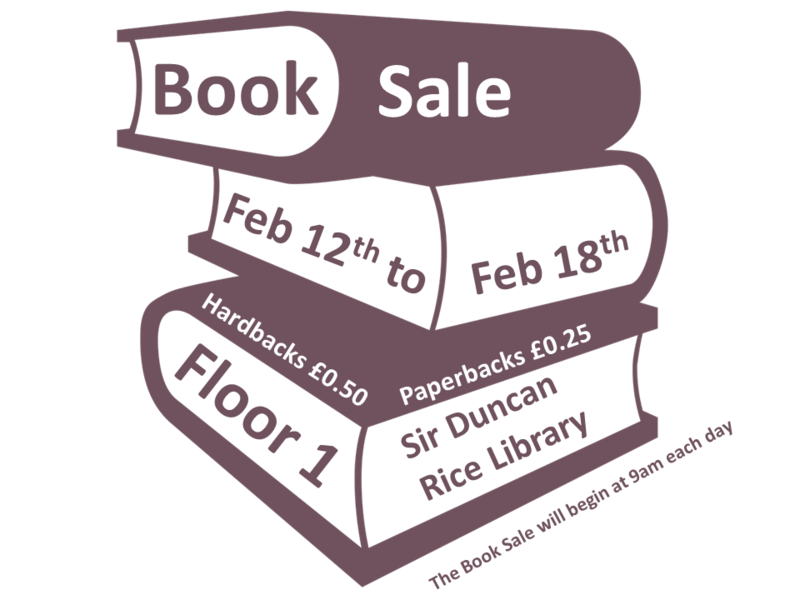 The sale will be held on Floor 1 of The Sir Duncan Rice Library for one week from Monday February 12 until Sunday February 18. The sale will not start until 9 a.m. each day, once staff begin work at the Information Centre on Floor 1 of The Sir Duncan Rice Library. You will not be able to purchase any books before 9 a.m. There will be books available from across a whole range of subjects, and at those prices it is certainly worth coming and having a look to see what bargains you may be able to get.